Climate Change. The vast majority of you reading this accept it is happening, and for the time being it is caused by humans. The few remaining climate scientists that deny this are one-by-one changing their minds or will eventually be exposed as complete frauds, due to who is funding their “research”. People care about climate change because it threatens coastal areas, fisheries, and food and water supplies, which is why Secretary of State John Kerry stated (correctly, I think) it was a matter of national security. So what does climate change mean for birds? Well…it means everything. It is impossible to say, of course, exactly how different remaining ecosystems will appear 100 or 500 years from now, but we can speculate. Though all birds will be somehow impacted by climate change, I think it is important to note that not all will suffer. I doubt we have to worry about Herring Gulls, Ruby-throated Hummingbirds or California Towhees going extinct, though their abundance and distribution will surely shift in time. As deserts expand, birds suited to arid climates may be just fine. Conversely, parts of the world that have traditionally been quite dry may experience more rainfall. Many species that are currently common may stay that way, and some species will likely increase…and hopefully species besides House Sparrows, European Starlings, Rock Pigeons and Eurasian Collared-Doves, which those in North America know as the four avian horsemen of the apocalypse. Yes, I am aware this isn’t a bird…but hear me out. This is a Pika, a charismatic and beloved mammal found in high elevations in much of western North America. Pikas are sensitive to warm and low temperatures alike, and cannot live in areas that are too warm or don’t receive enough winter snowfall; Pikas dont hibernate in the winter, and are actually kept at a happy temperature when insulated by the snow…bizarrely, they could freeze to death without it. Studies show that in some mountain ranges, Pikas are disappearing from lower elevation sites as a result of climate change, and are becoming more and more restricted to higher elevations. They may disappear from some mountain ranges all together. 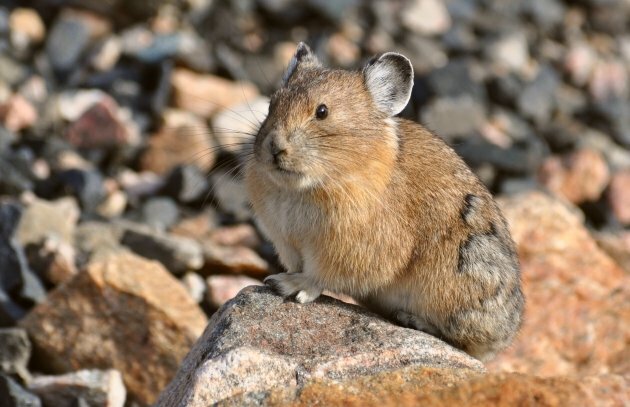 The Pika’s story is shared with a number of montane bird species. High elevation species will surely suffer from shifting and reduced habitat, and that process seems to have started already. As the climate warms and snowpack decreases on mountain peaks, habitats (and their plant and animal communities) downslope will inevitably shift higher and higher in altitude to keep up with changing temperatures and precipitation. 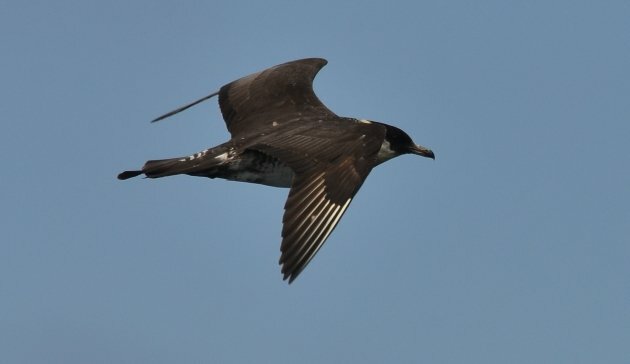 Birds suited to high elevations will have to go up and up as food sources and habitats change in distribution, until some may have nowhere left to go…luckily some birds have this amazing ability to fly off to better habitat (if it’s there), but nonmigratory species will fare poorly. High elevation habitats will be significantly impacted across many mountain ranges, and with them species like Bicknell’s Thrush, rosy-finches and ptarmigan could become extirpated in many parts of their range. Sea level rise is the inevitable result of melting polar ice caps. The EPA speculates that there will be a global sea level rise of 2 feet from the current sea level by the year 2100, which will have huge impacts on our coastlines for both people and wildlife. As sea levels rise higher and higher, many coastal marshes and wetlands, which have been degraded and decimated all over the country, will shrink or be completely inundated. Sedimentation in bays and estuaries can keep up with rising sea levels to a certain degree, keeping marshes intact, but only up to a certain point. Wetlands that could otherwise creep inland or become newly established by rising waters will have no place to go if they are just backed up against levees and urban development. Shorebirds, rails and waders like Green Herons (top photo) will have much less available habitat to forage in. Further afield, many seabird colonies, such as those in the Northwestern Hawaiian Islands, are on very low elevation islands (less than 10 feet above sea level) and are already at risk of washovers in big storm events and tsunamis. Seabirds will surely have much less real estate to work with in the coming years. Though they breed on the tundra, Pomarine Jaegers spend most of their lives at sea. Where they go is often dependent on the water beneath them; a difference of a couple degrees in temperature can make all the difference. Water temperature is everything to a seabird; it dictates where their food is. If a seabird is trying to breed, if all the forage is too far from their nest, their nest is guaranteed to fail. It’s that simple. The waters off Northern California were very warm last year, and unsurprisingly we were blessed with warm water seabirds such as Guadalupe and Craveri’s Murrelets…but when winter came around and the warm water was still sitting offshore, many species (particularly Cassin’s Auklets and other alcids) suffered. Their prey base just wasn’t there. On top of seabirds being at the mercy of currents and sea surface temperatures, they will have to contend with ocean acidification as well. Every bird that uses marine ecosystems, from storm-petrels to Bald Eagles, already feels the effects of ocean acidification on some level; it is estimated that within the past 200 years, our oceans have become 30% more acidic, which is shocking. Ocean acidification happens as a result of increasing amounts of carbon dioxide being taken up by the world’s oceans, which is dissolved from the air. Altering the ocean’s chemistry alters the way marine life reproduces and develops; for example, a young marine snail simply cannot develop a shell in conditions that are too acidic, and will die. This has repercussions across the food web. In the worst-case scenario, which is plausible, an unchecked increase in ocean acidification will lead to the collapse of marine ecosystems around the world, which obviously will have catastrophic affects for birdlife and humanity alike. Let’s hope that we never get to this point. Ocean acidification has not been studied for very long, so it will be very interesting to see how this field develops in the coming years. Although it is impossible to pin the current weather systems of the Lower 48 on climate change, it is very likely that climate change is playing a roll. It also provides a great example of how changing weather patterns can affect birdlife. Here in California, we have had yet another dry, very warm winter. In San Francisco, no rain fell in the month of January, which is bizarre and ridiculous, in a sad way. Spring seems to be arriving already, which strikes many people as fundamentally wrong. Depending on the weather in March (which will hopefully be cold and wet instead of warm and dry), leafout will be early, and so will the emergence of insects. This may not coincide with the arrival of migrant and breeding birds, and could have major implications with the birds’ fitness and all-important reproductive success. Will migrants return north earlier and earlier (which some species seem to be doing), or will they fail to adjust to changing weather patterns? Will early-arriving birds suffer from having to endure late winter storms? 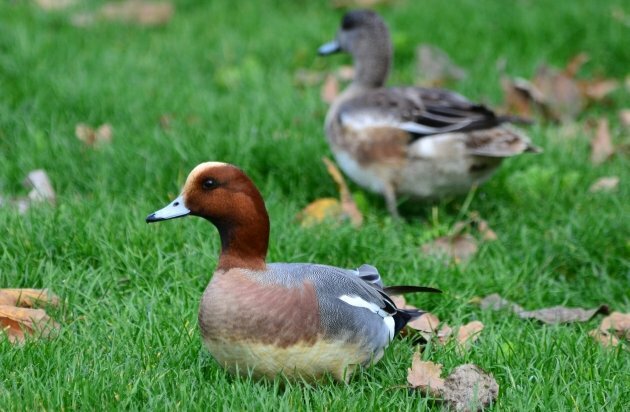 California gets plenty of Eurasian Wigeons that winter here, and I would recommend a migration to California to just about any Eurasian Wigeon. A Eurasian Wigeon that planned on wintering someplace like Maine would surely regret it this year. Conversely, much of the eastern U.S. seems to be cloaked in a neverending blizzard. For the second winter in a row, the Great Lakes have more or less frozen over, pushing huge numbers of waterfowl south. Upland birds are likely struggling to find food and to stay warm with all the snow, and are seemingly being pushed around as well. I’m not at all suggesting this will be the new normal, or that it is any sort of a trend, but I don’t think I need to explain how obscene amounts of snowfall can affect wildlife. Of course, rainfall and snowfall has everything to do with with the health of lakes, rivers, and freshwater marshes in much of the continent. While no one thinks Florida is going to dry up, anywhere from the Dakotas, south to Texas, all the way to the west Coast may be up for some brutal droughts in the coming years. Not only will wetland birds have less habitat to work with, but riparian species will be at a high risk as well. Last but not least, we should not forget how humanity will play into this…in severe water shortages, politicians AND a huge chunk of the population aren’t going to give a damn about saving water for wildlife. It’s hard enough getting people to care in the best of times. Thanks for tackling this insidious and monumental subject. As someone who just experienced a firestorm in February that took my house, I’m thinking a lot about climate change. A “normal” February would have had snow on the ground to stop the fire. Birds and plants are not adapted to deal with destructive fires in their habitats in the winter, either. Notwithstanding the excellent and sobering points raised in this post … I would take a Eurasian Collared Dove any day over the hordes and hordes of Ring-billed Gulls I always seem to be stuck with.